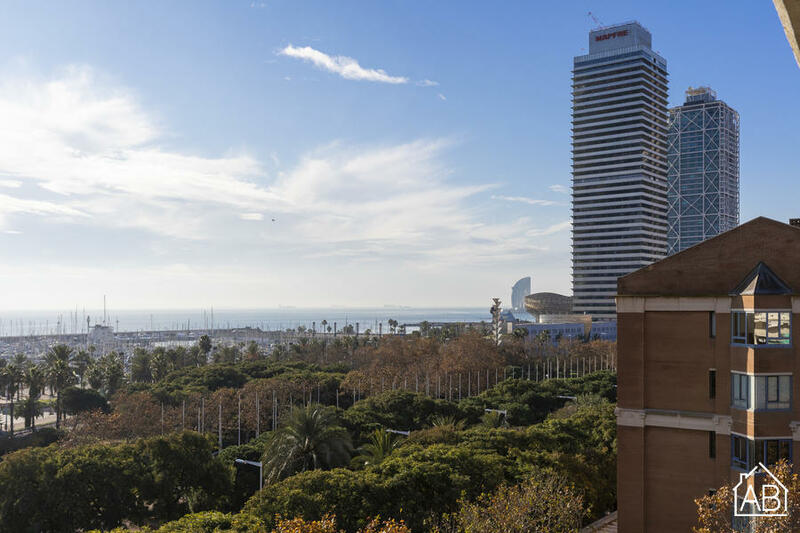 This apartment has an amazing location overlooking one of the wonderful beaches of Barcelona. With a large balcony this is the perfect place to take in the views and really make the most of the Mediterranean climate. A short walk away you´ll find the Port Olímpic with its many bars and restaurants, perfect for enjoying some of the city´s best nightlife. This modern apartment has a lovely finish with a stylish interior and with two bedrooms it can comfortably accommodate five people. Everything you may need during your stay is provided for: television, air conditioning, heating and more. Vila Olímpica is a neighbourhood that forms part of the Sant Martí district in Barcelona. It´s two towers, the Mapfre tower and the Hotel Arts, puncture the city´s skyline and mark the area that was developed to house the athletes competing in the 1992 Olympics. On the weekends, visitors and residents from all over Barcelona come to walk along the beautiful promenade or soak up the sun on the beaches of Vila Olímpica. There is also some brilliant artistry in the area including Frank Gehry´s Golden Fish, erected to commemorate the long-standing fishing industry in Barcelona. The Olympic Village is packed full of restaurants boasting some of the freshest seafood on the Mediterranean coast. The neighbourhood also boasts some of the best nightlife in Barcelona, with many popular bars and nightclubs lining the beachfront. An apartment in Vila Olímpica is ideal for those looking to make the most of Barcelona´s beaches, while remaining just minutes from some of the city´s top attractions by bus or metro.